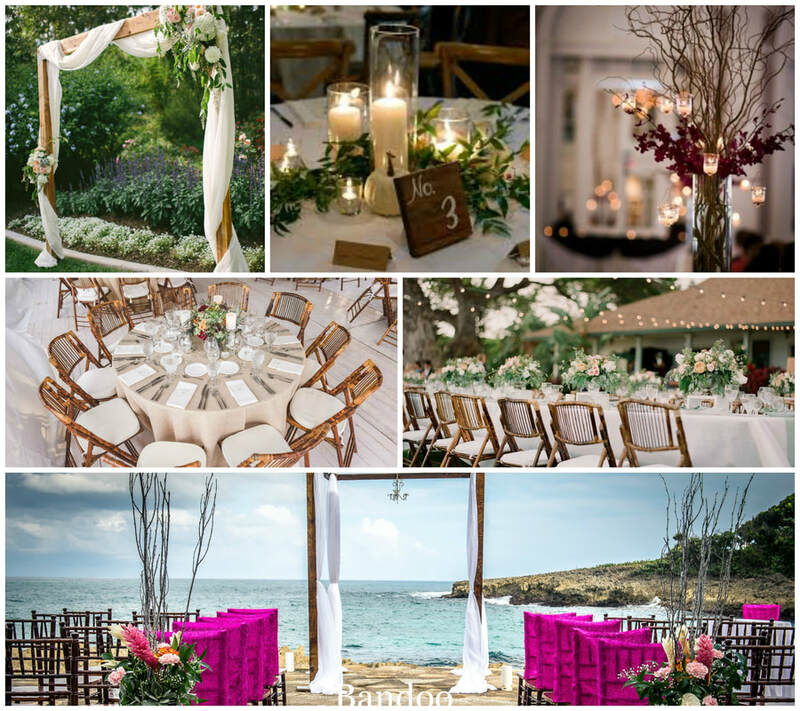 The perfect mix of a Rustic setting and a blend of Elegance. 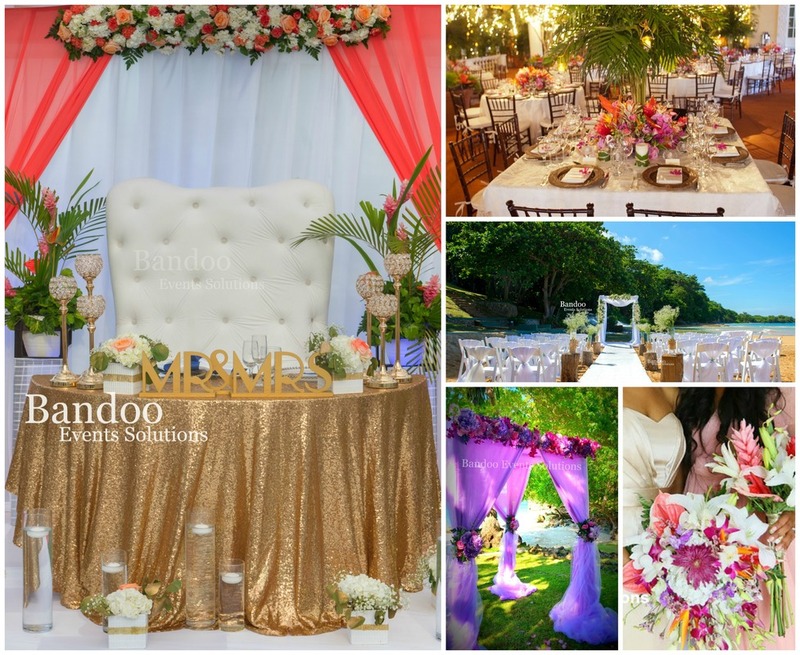 The Rustic Elegance Decor package includes the full setup of your ceremony and Reception. This package can be adjusted to include additional persons or adjusted to a minimum of 25 persons. Sophisticatedly you. 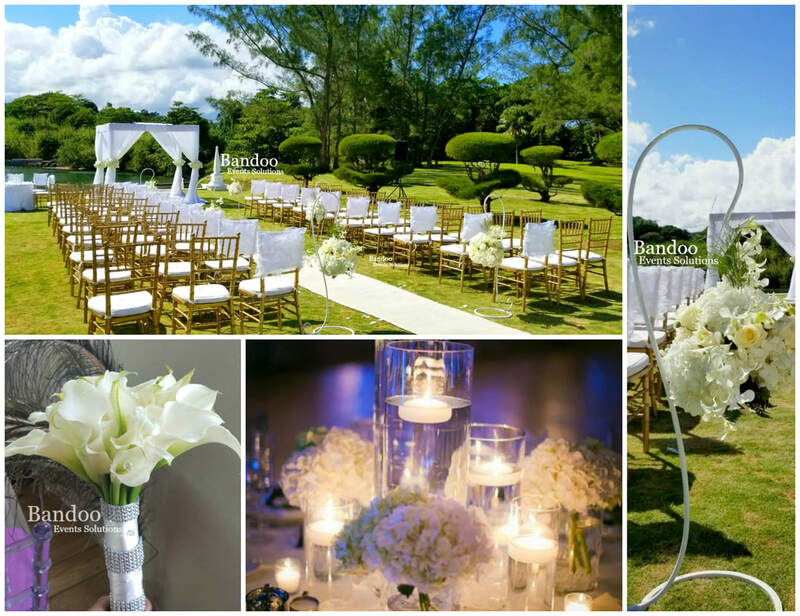 The Chic Eleganza Decor package includes the full setup of your ceremony and Reception. 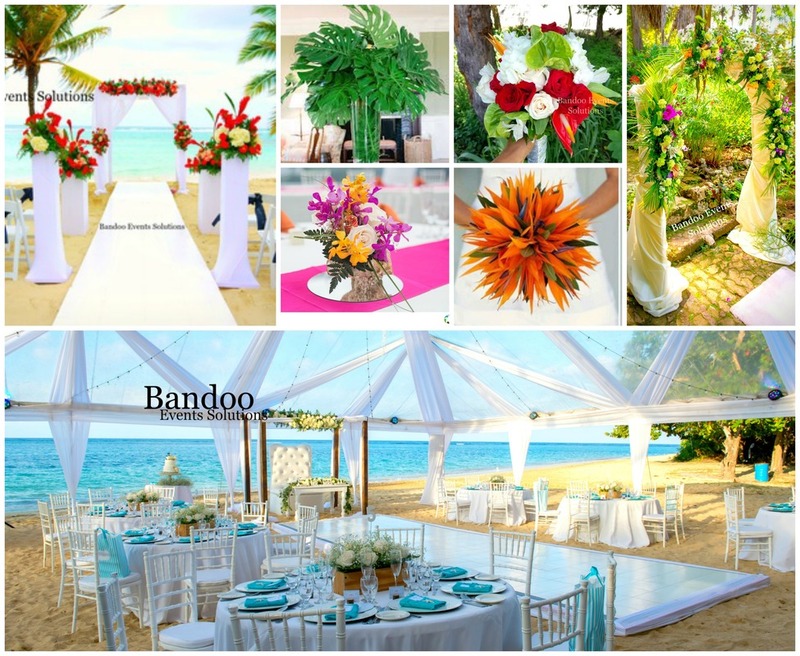 Setup & Breakdown, Delivery & Pickup Included in all Decor Packages. 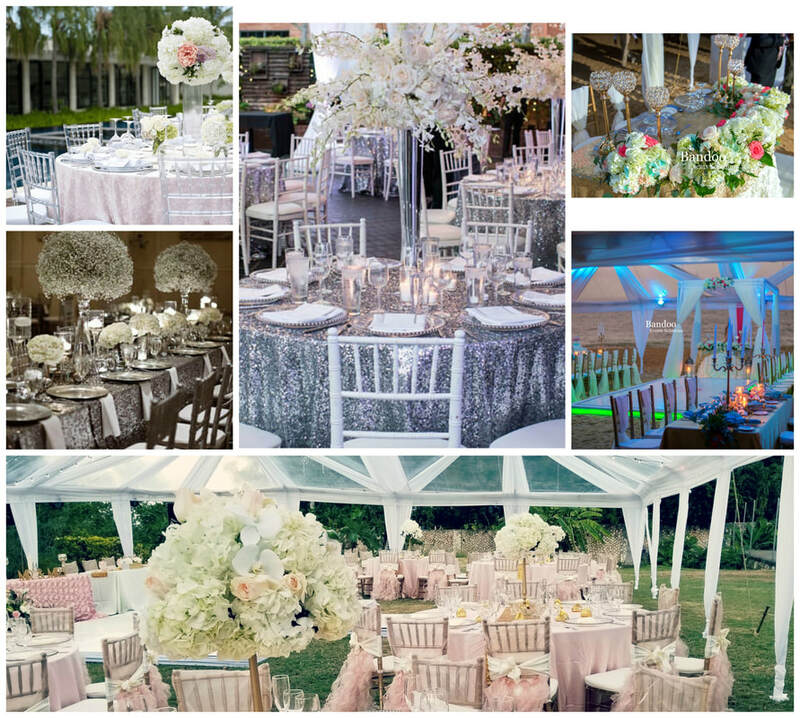 If using an outdoor venue, in the event of rain, a tent will be needed for the Rustic Elegance package. Additional fees will apply for services outside of the St. Ann area. Only items listed in each package are included.